Will anyone but Mark Prior please stand up? First off, thank you for everyone that read my first installment. My first blog was a bullpen session, so it’s time for me to take the mound and start diving into topics that you care about. To kick off my second installment, I want to talk about the MLB First-Year Player Draft, which is less than 48 hours away. The Chicago Cubs, who are the parent-team for your Boise Hawks, are sitting at pick 16 and needless to say, have plenty of options. The question on everyone’s mind is who will they go with; a young arm or will they follow suit and take an athletic, five-tool player? 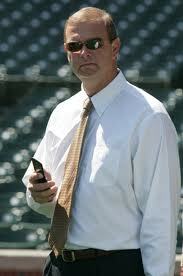 That question will be answered by Tim Wilken, the Cubs Amateur and Professional Scouting Director. Since Wilken took over in December of 2005, he has had a pretty solid track record at finding good talent early. Outfielders Tyler Colvin and Brett Jackson have both been impressive in the minors and Colvin has been a solid bat for the Cubs this season, hitting .293 with 5 HR and 13 RBI. Wilken also cashed in on pitcher Andrew Cashner, who flew through the minors to earn a spot in the Cubs bullpen this season. Third baseman Josh Vitters is the highest rated prospect to ever make to Boise in 2008 and he did not disappoint, hitting .328 with 5 HR and 37 RBI. Vitters’ 25 doubles were the second most in Hawks history and he was the only unanimous for the Northwest League All-Star team that season. With all of that being said, Wilken has several interesting options at pick 16. Wilken’s track record has always been selecting the best, positional athlete on the board. But according to MLB.com Draft expert Jonathan Mayo, he predicts the Cubs will go with a young arm this year in Asher Wojciechowski from The Citadel. Wojciehowski has 6’4″ frame and is known for his fastball, which registers around 94 mph. The word from many scouts is that he has a good slider, but his change up has been a little suspect and it is not a strong as his other pitches. My take on Wojciechowski is this; just about any team can use a 6’4″ fireballer in the bullpen who can spell the closer or be the closer. My only hang up is that given the profile, Wojciechowski sounds a lot like Cubs relief pitcher Jeff Samardzija. If I am WIlken (given the current layout of my team), I would be looking more for a solid starting pitcher, as opposed to a relief pitcher. Given what we know thus far on Wojciechowski, it sounds like he is more suited for the bullpen than the rotation. If I were Wilken, I would take a long look at pitcher Karsten Whitson from Chipley High School in Florida. Whitson has a great fastball that registers around 91-96 mph and a slider that resembles Wojciechowski’s. Where the two pitchers differ is in their off-speed pitches. Whitson has a very nice change up that hits between 80-82 mph and has enough fade to where that pitch could be a “plus pitch” for his arsenal. Anytime you can find a 6’4″ guy like Whtison with this kind of profile, it’s hard to pass on him. The biggest plus is that he is straight out of high school, so he has not hit his full potential yet. With great tools and the ability to grow, Whitson would be a great choice if he is still there at 16. If Wilken is dead set on a skill position player, then Justin O’Conner is a name that could generate a lot of buzz. O’Conner, a shortstop/catcher from Cowan High School in Indiana, has the make up that a lot of Wilken’s picks have had; he’s a powerful, patient hitter who has great, raw athleticism. The most intriguing thing about O’Conner is the fact that he doesn’t really have a position. He has shown a cannon for an arm (pitching up to speeds of 95 mph) and some people think he is best suited at the catcher position, rather than his current position of shortstop. The only drawback is that he is very green at the catcher spot, so if the Cubs put him in that role, they will have to give him several years to develop. Regardless of who the Cubs decide to go with, they should benefit in some form or another. Most of the players highlighted have the athleticism the Cubs seek and hopefully they can add even more depth to a minor league system that is producing big league talent. But then again, the name Mark Prior still resonates with many in Wrigleyville.